Vitamin D is a fat-soluble vitamin crucial for infants. Proper amounts of vitamin D can help prevent deficiencies and developmental health conditions. Many parents and caregivers of infants utilize a liquid form (drops) to get the vitamin into their babies. Vitamin D supplementation is necessary for infants because sun exposure is typically limited in the first year of a child's life. This can be problematic because sunlight serves as the primary source of vitamin D for humans. Meeting vitamin D requirements in infants is important as it minimizes the child's risk for vitamin D deficiency. A vitamin D deficiency can result in a debilitating bone condition called rickets. 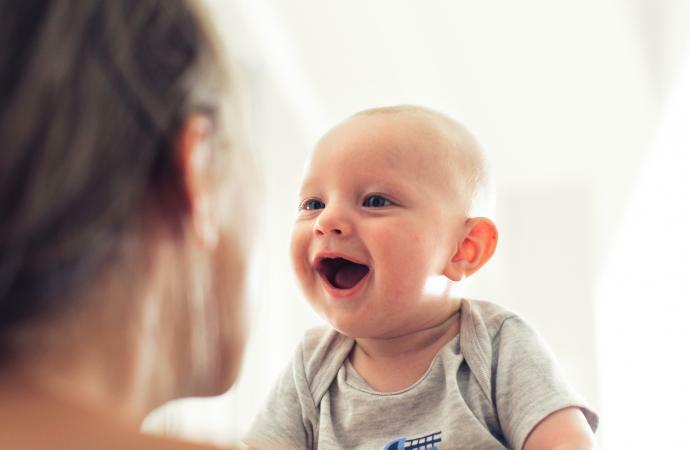 Therefore, it is recommended that infants receive some form of supplemental vitamin D. However, the form depends on how an infant is being fed. According to the Centers for Disease Control and Prevention, infants do not receive adequate amounts of vitamin D from breast milk alone. A Vitamin D Fact Sheet published by the National Institutes of Health's Office of Dietary Supplements indicates that mother's milk only provides 25 to 78 IU per day, which is far below the daily recommendation of 400 IU a day. All infants who are completely or partially breastfed require additional vitamin D supplementation. These babies should be supplemented to 400IU of vitamin D per day, in the form of infant-friendly drops. According to HealthyChildren.org, a publication of the American Academy of Pediatrics, this supplementation should begin within the first days of life and continue until the infant is weaned to one quart of vitamin D-fortified formula or whole milk per day. This weaning commonly happens around one year of life. In the United States, all baby formula is fortified with vitamin D to help ensure that young children receive the vitamin. Therefore, children who are strictly formula-fed do not require vitamin D supplementation. Additionally, according to the American Academy of Pediatrics, children who receive at least 33.8 ounces or more of vitamin D-fortified formula per day do not need vitamin D supplementation. Vitamin D supplementation for infants most commonly occurs in drop form, as pills are not a practical option for babies. These drops are a liquid form of the vitamin that are easy for a baby to take. These drops typically contain the D3 version of vitamin known as cholecalciferol. Other ingredients found in vitamin D drops range widely. The drops could also include coconut oil, olive oil, sunflower oil, vitamin E, palm oil, etc. Due to the wide variety of additional ingredients found within vitamin D drops, always read product labels closely. Vitamin D drops do not require a prescription. Most pediatricians will verbally recommend the supplement to new parents. There are several brands to choose among, and most can be purchased at local pharmacies and grocery stores or online. Carlson Baby's Super Daily D3, which can be ordered online from Thrive Market. Speak with your pediatrician before beginning the supplement to see if he or she recommends a particular brand for your baby. While not necessary for fully formula-fed babies, infants who are fully or partially breastfed need vitamin D supplementation to ensure they do not experience a deficiency in this important nutrient. For obvious practical purposes, Vitamin D drops are a popular solution to simplify supplementation for infants who need it. Of course, it is best practice to speak with your family doctor for specific recommendations before beginning supplementation.